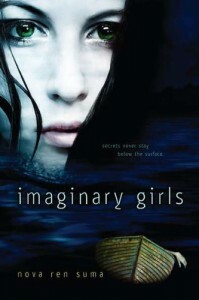 I had heard so much about Nova Ren Suma and her haunting tales that when I seen Imaginary Girls at the library I immediately snatched it up. 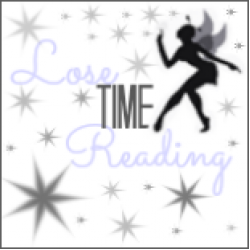 I couldn’t wait to pick this up to start reading, especially since 17 & Gone is on my TBR for this year, and I really wanted to try out one of her early works…This review is going to work backwards compared to my normal reviews because I just have to state this from the beginning, I really, really disliked this book. I had just an incredibly weird journey with it, I was obsessed with getting to the end because I was sure that some amazing revelation would come out and it would knock me off my feet. But… no. It did not and I actually came very close to throwing the book straight across the room upon finishing.To start off, I could not STAND Ruby. Ruby is Chloe’s older sister and I just hated her. Honestly, I can’t even pretend that I liked her even a bit. She was SO full of herself, selfish, and just an all around complete whack job. Chloe, in all actuality was not much better but I did like her slightly more than Ruby. I think the part that bothered me the most about these two sisters was that Ruby was supposed to do anything for her sister, to love her more than anything, and they were so incredibly close but it was not like that at all. I waited… and waited… for some clue that would tell me that this magical relationship was going to come out of the woodwork but it never happened! All I got was Ruby mistreating her, giving her orders, being incredibly evasive and just treating her badly. AND don’t even get me started on the way Ruby treated others, especially her boyfriend. Oh, the characters in Imaginary Girls were enough to put me over the deep end.Despite all of that, I could not stop reading. If you read Imaginary Girls you will know what I mean… the story is just so STRANGE. It was next to impossible for me to stop because I needed to know what happened. The clues, unfortunately were there all along. There is no massive, shocking secret that’s revealed; it’s exactly the story you are presented with.Now, amongst all my negativity I have to add that there is a redeeming factor to Imaginary Girls. Nova Ren Suma’s writing. It’s absolutely intoxicating(clearly… I finished the entire book feeling like the above). It’s addictive and I adore her writing style. I WILL be reading her other books, there is no question about that, it’s just Imaginary Girls wasn’t for me. At all.I hate writing reviews like this, I really do. I’ve gotten pretty good at picking out exactly what I will like, and more(MUCH more) often than not I’m pleased. I’m not sure, maybe I completely missed the point of this book but I do know that it was not what I expected and definitely not my cup of tea. HOWEVER, as I said above this has not turned me off of Nova Ren Suma’s books… in fact it might make me want to read them even more, I need to discover what everyone is raving about.